Air cleaners/air filters are an important part of your motorcycle’s carb system. It does not take much dirt to damage an engine, so it’s important to keep your air filters clean. Most old motorcycles were designed with relatively restrictive airboxes and air filters. When you start changing your intake setup, you’ll likely affect how your bike performs. 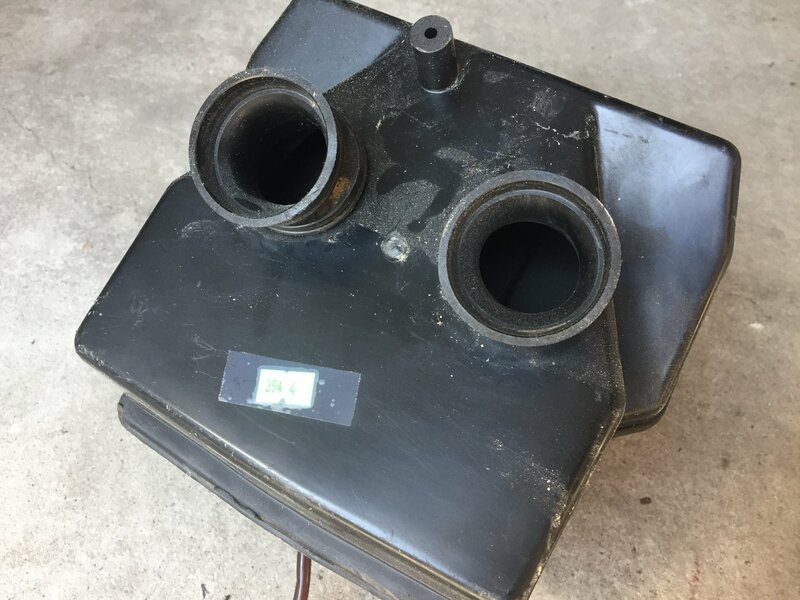 If you plan to change to a different type of air filter or swap out your air box for individual pod filters, you may initially create a fuel mixture condition that is either too lean or too rich. You may need to re-sync and possibly re-jet your carburetors if you want the motorcycle to run well after changing to a different type of air filter set up. Changing to pod filters will usually require you to move up to larger jet sizes. If your motorcycle doesn’t have the stock airbox or you’re looking to switch to pod filters for some other reason, you may find the tuning and jetting CV carbs with pods can be frustrating. If you are using UNI foam pod filters, you can try to alter the airflow restriction by using an aluminum can and/or PVC pipe. Cut off the top and bottom of the can and cut a line up its side so it will fit into the inside of the pod filter. The can/pipe acts to restrict and alter the flow of air to get it closer to stock conditions. Air has to flow through the foam filter, towards the back of the pod filter, and back towards the carb. Do some plug chops and listen for performance throughout the throttle ranges to determine if you need to trim the can restrictor any more. More material inside the pod filter will make the air flow more restricted and cause richer conditions. Trim the can to allow more air to flow and lean out the mixture. If you’re having trouble tuning and jetting non-CV carbs, this method still may help improve engine performance and fuel mixture adjustments with pod filters. These types of air filters must be oiled properly to work . The oil clings to the foam and filters out particles in the air. Oiled foam air filters can typically be cleaned and reused. You can clean them with a solvent and a rinse. After you ring and dry them out, you can re-oil the foam filter and use it again. You should replace the foam before it starts to break down and disintegrate. Fabric air filters work similar to oiled foam filters. 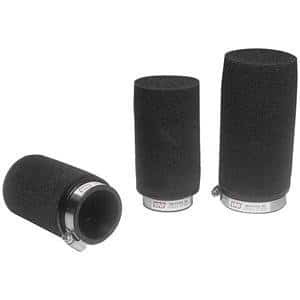 They typically come with a special air filter oil from the filter manufacturer, like K&N. Fabric filters can be cleaned with soap and water and reused. Paper filters work by sitting dry in your motorcycle’s air box. Their filter abilities degrade as they pick up moisture from the air. Paper filters should be changed out for new ones at regular intervals.